The final stage is when a particular startup has become an established corporation. At this stage “company values” are normally setup to guide the employees in their daily work, dealings and most importantly in decision making. Values are guiding principles that dictate how the company is run in all walks of its life. At this stage, while still important, resources won’t be as important as they were at the “resources stage”. Hiring and firing happens quite often. Individual opinions within the company doesn’t really have any weight unless the person is a c-level. For example, Johnson & Johnson’s value is “to put the needs and well-being of the people first“. It’s J&J’s compass..
Based on what is discussed above, the answers to the questions I asked in the beginning of this post is quite clear. Many young entrepreneurs are not capable of running high-growth companies. They may be good in idea generation and product development, but not experienced enough in managing people, leading people and establishing the necessary processes. Therefore, sometimes they get replaced by the board with a more seasoned CEOs who are up to the challenge of managing a high-growth company. As for the failure of acquired companies into the parent company. Often times, it’s due to a mismatch in their processes. Startups normally get acquired by a larger corporations, and processes in larger corporations are extremely different from that of startups’. Startups normally have more flexible processes, whereas corporations have very stringent processes. This obviously stifles and chokes startups to quite literally to death. Startups live in a very fast paced environment, things change very fast in startup world. On the other hand, in corporations, things can take a very long time until the necessary approvals are obtained and decisions are made by the top management. It can take few months until a procurement decision is made or a key individual is hired to the team.. few months is like a decade in the startup world. 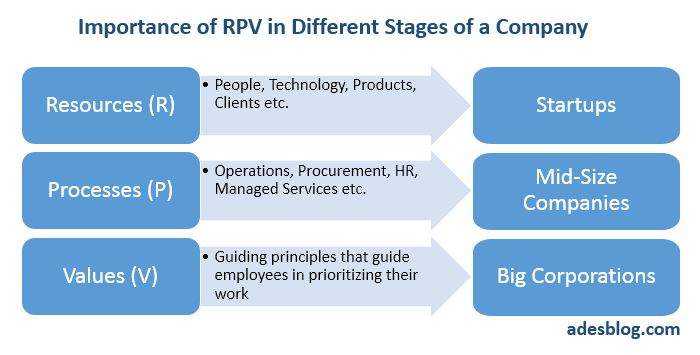 When every single thing has to follow the main process of the parent company, be it procurement, HR, marketing, product strategy etc, it will be extremely difficult for the startup to stay relevant and to stay competitive in the highly competitive environment. So, based on this, having a startup within a large corporation is almost impossible without the change in its legacy processes. Because the whole eco-system of a corporation with its stringent processes are there to improve current products and services (i.e existing products) and avoid investing in something unsure (i.e new products/startups). Corporations are under tremendous pressure to keep revenues growing, year after year. Obviously the best strategy to do that would be to put maximum attention on the products that bring the highest margin of profit. And that’s what they do. All KPIs are set towards maximizing revenues and improving existing products. Also, all the rewards and bonuses are then tied to those KPIs. This in return, generates behavior in managers to avoid promoting and investing in disruptive technologies. Making startups work within a large corporation is not impossible. It needs difficult decisions but it’s possible. Letting the acquired startup to run separately as an independent company, establishing separate processes and giving autonomy to the product team within the organization, JVs (join-ventures) with 3rd party companies are some of the options at hand for a potentially successful recipe. This will be a post of its own in the future.